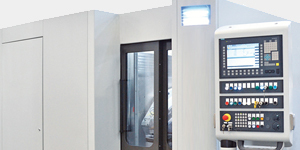 Manufacturers rely on a trained workforce now more than ever. 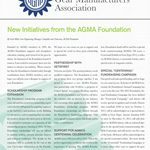 AGMA works to bring new courses and webinars in an effort to be responsive to the workforce needs of the gear manufacturing industry. 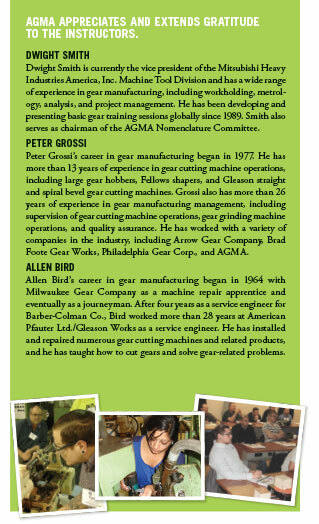 At the core of our training is the Basic Training for Gear Manufacturing course, which continues to be one of AGMA’s strongest offerings. We have been providing this course since 1994. 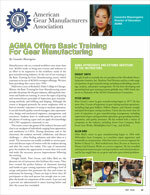 Held twice a year at Richard J. Daley College in Chicago, Illinois, the Basic Training for Gear Manufacturing course provides the primer for the gear industry, offering both classroom and hands-on training. It covers the topics of gearing and nomenclature; principles of inspection; gear manufacturing methods; and hobbing and shaping. Although the course is designed primarily for newer employees with at least six months’ experience in setup or machine operation, it can also benefit quality control managers, sales representatives, design and mechanical engineers, management, and executives. Students learn to understand the process and the physics of making a gear and can apply this knowledge with CNC equipment commonly in use. The course crosses the gamut of the industry because each class is an amalgam of individuals ranging from apprentices and machinists to CEOs. During downtime and in the classroom, the students network, collaborate, and discuss challenges — often finding solutions and other ideas as a result. The instructors are readily available to answer questions and discuss topics of interest with the students during and after the course has ended. This type of interaction gives the students the opportunity to assess their own work and make the necessary process improvements following the training. 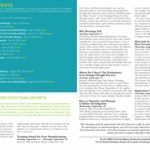 Dwight Smith, Peter Grossi, and Allen Bird are the dynamic trio of instructors who facilitate this course. They have created the perfect balance of classroom learning and hands-on gear cutting experience and bring a level of energy and passion that permeates the class and creates an enthusiasm for learning. Classes are kept to fewer than 20 participants so that each person has enough time to complete the hands-on component of the course. A pre-test and a post-test are administered to assess learning before and after the course has concluded. Each year, the Fall Technical Meeting (FTM) provides an outstanding opportunity to share ideas with others in the gear industry on design, analysis, manufacturing, and application of gears, gear drives, and related products, as well as associated processes and procedures. 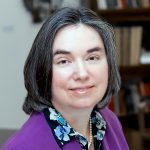 Authors have the opportunity to present the results of their work to an audience of knowledgeable professionals from the United States and around the world and to participate in discussions with that audience. Nitin Chaphalkar, DMG MORI USA Inc.
Nandkishor Mantri, Eaton Technologies Pvt. Ltd.
Baydu Al, Smart Manufacturing Technology Ltd.
AGMA is presenting a three-session webinar series, Gearbox Field Inspections: Observations, Troubleshooting and Establishment of Maintenance Procedures. Each webinar will run 90 minutes. 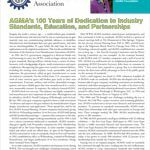 Complete information is available on www.agma.org. Gears can fail due to various damage patterns. In this study, the combined influence of shaft misalignments and gear lead crown on load distribution and tooth bending stresses is applied to real-world circumstances. Delve into the unique attributes of load distribution effects pertaining and comparing the use of spur, single, and double helical gearing. Demonstrate the importance of the design of gear units and its interrelationship with inspections and maintenance. Provide an overview on long-term benefits in the use of friendly design features such as integral flanges, separable bearing caps, external adjustable casings, separately mounted terminals for instrumentation, enclosures, and attributes of the three-point mount. At the end of the webinar, reasonable real-world predictions of gear load distribution will be provided, and recommendations for optimal lead and crown will be given based on an observed misalignment condition. Identify damage patterns that occur as a result of various stresses during operations. 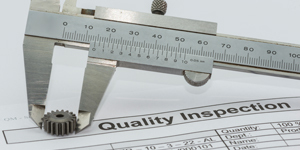 Provide an analysis and corrective plans to avoid toothing distress. Have a deeper understanding of the unique attributes of load distribution effects. 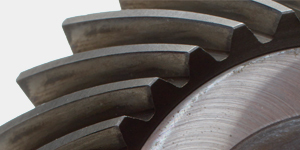 Identify key design attributes that lend maintenance-friendly requirements for gears. Apply and relate theoretical frameworks in gear load distribution. Both the operator and designer must consider gear tribology. In this second part of the series, the focus is placed on lubrication. Provide an overview of elastohydrodynamic lubrication (EHL). 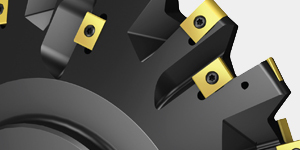 Discuss how pitting and scuffing are the primary failure modes influenced by lubrication. Describe how the operator can discern the difference between primary and secondary modes of failure. Provide information on the choice of lubricants and their characteristics. Give examples of how the choice of lubricant affects the life of the gear unit. Identify the effects of antiscuff (AS) additives (formerly known as extreme pressure or EP). Gearbox diagnostics and service are critical to the field inspection process. In this third part of the series, these concepts will be explored in depth. Discuss audio and visual gearbox diagnostic techniques. Identify the three types of maintenance programs: reactive, preventative, and predictive. Review service concepts as it relates to preventative gear maintenance. 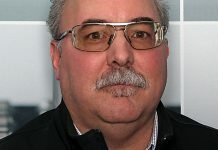 John B. Amendola is the chief executive officer of Artec Machine Systems where he has been working for 43 years. Prior to that, he was with Western Gear, Texaco, and Boeing Company. 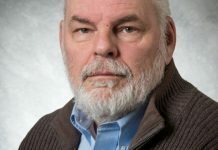 He is currently an active member of the AGMA Technical Division Executive Committee (TDEC), active chairman of the AGMA Enclosed High Speed Units Committee, and active chairman of U.S. TAG to ISO TC 60. He holds a Bachelor of Science in mechanical engineering from Villanova University and a Master of Science in mechanical engineering from Brooklyn Polytechnical Institute. John B. Amendola III is the president of Artec Machine Systems where he has been working for 22 years. Prior to that, he spent one year at Maag Gear in Zurich, Switzerland, with the assembly, testing, and field services group for high-speed gear applications, and two years at SUNY Maritime College as assistant professor of the engineering department, training engineering undergrads in marine/mechanical operations. 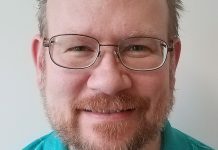 He is an active member of the AGMA Helical Gear Rating Committee and holds a Bachelor of Science in marine engineering from Maine Maritime and a professional engineering license for mechanical engineering. 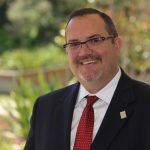 Amendola III also maintains a United States Coast Guard (USCG) unlimited license as a senior marine engineering officer and a retired commander of the U.S. Navy Reserve. Dereck Yatzook is a mechanical engineer with a BSME from University of New Haven. 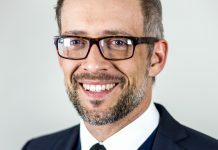 He has been employed at Artec for the past 14 years and is currently the manager of contract engineering. Yatzook is an active member of the AGMA Metallurgical Committee.